#Instagram is on a roll. Since its launch, our favorite social picture platform has never stopped experimenting, creating and rolling out new, interesting features for its users. The latest is their Question sticker for Stories. If you’re an avid Instagram user, you’ve probably already come across it many times, because it got pretty popular very quickly. 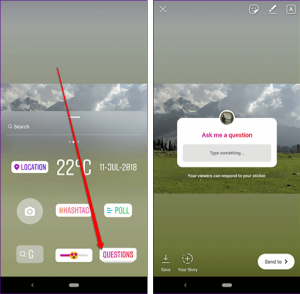 In case you’ve been under a rock, Instagram Questions can be added to your Stories (temporary posts), posing questions that followers can interact with. 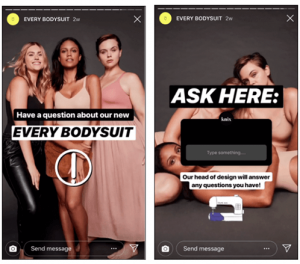 But what kind of questions should you ask on your business’ Instagram story? 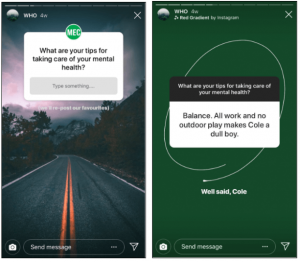 While initially it was created for friends to have fun conversations with each other, Questions were soon taken up by brands and marketers for market research and to amp up audience engagement. After all, 90 of the top 100 brands are on Instagram and 2 million monthly advertisers use Instagram heavily for a plethora of marketing purposes. It’s a hub for professionals looking to up their ROI, conversions, engagement, and popularity. Instagram Stories are a pretty powerful new marketing tool in their own right. 400 million Stories are created every single day, and a third of the most-viewed stories are created by businesses. So it makes sense for Instagram to continue introducing new and exciting features that allow Stories to develop further. 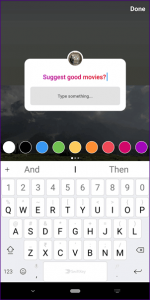 Question: What Good Could Instagram’s Question Sticker be Doing For Your Business? It’s actually a great way for businesses to stay consistently active on Stories — it’s hard to constantly come up with what to upload all the damn time! But it’s also useful to figure out who your loyal and engaged followers are, find out what burning questions your audience has about you or your brand, and plan your content based on what your audience wants most from you. Responding to questions allows you to engage with your audience in real time. Just click on Your Story icon near the top left side of your screen and record or select a picture or video for the Story (more on this later). Choose the Question sticker from the sticker menu, edit the question, publish and you’re good to go. Answers (or questions) will come pouring in *if* you’ve promoted your Story session well in advance, and you can choose to upload whichever responses you’d like everyone else to see. Take screenshots (I’ll elaborate why in the Tips & Tricks section). 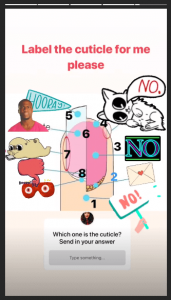 There are a plethora of ways you can make use of the Questions sticker and at least a million different questions you can ask your followers. Here are a few ideas that work pretty great for almost anyone. Do You Want a Strong, Healthy, Genuine Relationship with Your Followers? How many of you can truly claim to have a great relationship with your Instagram audience? The hardest thing for brands in this over-saturated, chaotic social media world is to genuinely connect with their audience. 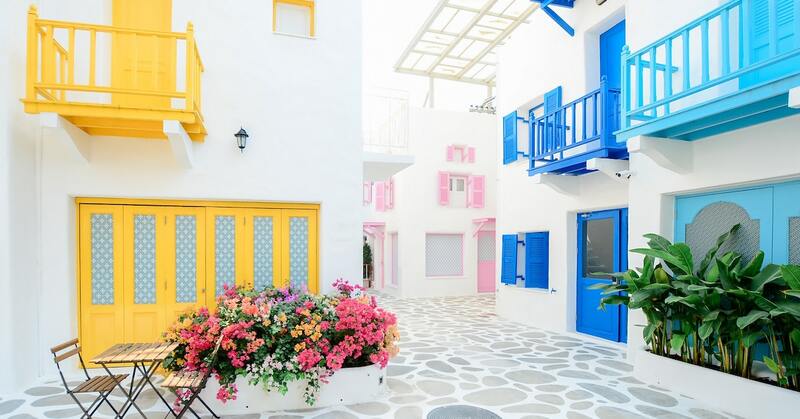 After all, more than 50 million small businesses currently use Facebook Pages to connect with their customers, and the number of business profiles on Instagram is increasing every minute — it’s currently over 30 million. Having your voice get lost amidst all these brands and businesses on social media is easy. 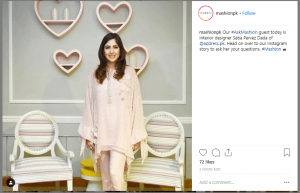 One of the best and more obvious ways to use Instagram Questions is to engage directly with your audience and build a positive rapport with them. Instead of just soliciting questions about your business from the public for you to answer, use the occasion to get to know your followers. Ask them random, controversial, funny, weird questions (that are not directly related to your business). Ask their opinion on a recent event, how they plan to spend their holidays, their favorite book or whether they’re a morning or a night person. How do they take their coffee? Kind of like the usual first-date questions. Asking more pointed questions about your audience’s demographics, geographical locations, and likes or dislikes can also help you build an extensive target audience persona. Have You Hosted a Fast & Easy Q&A Session? 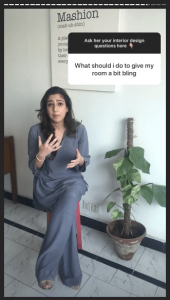 How many of you would jump at the chance to ask me anything related to Instagram marketing? Anything you want to know. Q&As are all the rage in the social media world. They’re one of the easiest ways to engage your audience and answer their burning questions, in practically-real time. 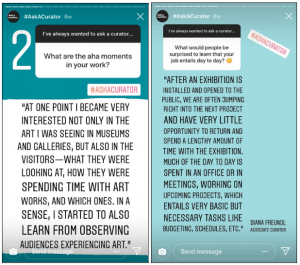 With Instagram Story’s Question feature, you can make this process even easier for your audience as well as show your expertise in a fun way. Ask them if there are any questions they have regarding that topic. For example, if you’re in the fitness niche, you could talk about meal plans one week, easy home exercises another week, fitness gear in the third week, and so on. Brainstorm a list of topics your audience would be interested in, and then conduct regular Q&As. These are a huge hit on other platforms like Reddit. Let your audience know that you’ll only answer the first 15 or 20 questions, which keeps it from being a big chore for you and also creates urgency, prompting more people to ask questions faster (I should know because this tactic has worked on me way too many times). Ask experts in your brand or business to “come over” and host a Q&A for your audience. If you have a product-based business, you can ask your products’ engineers and creators to join you and answer people’s technical questions. 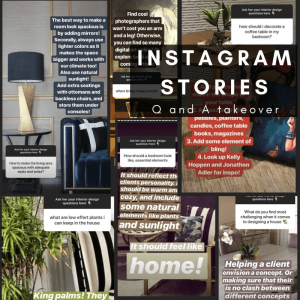 Wanna Trade Instagram Feeds with a Stories Takeover? Google, “Snapchat takeovers,” and you’ll see a host of articles discussing every little thing related to it. Why were they SO popular? Because takeovers allow you to broaden your audience base almost instantly. 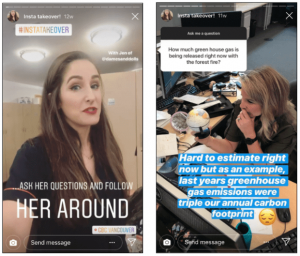 Instagram Story allows you to do the same kind of takeover and the Questions feature makes the process a lot easier and more flexible. Inform your audience beforehand, or better yet, ask them who they’d like to see you collaborate with. It’s a cool way to add interest in your Stories and shows that you’re willing to go the extra mile for your audience. Make sure to promote your takeovers heavily to maximize the audience for it. Set a specific time for a takeover and come Live on Stories 5 minutes prior to that and prep your audience. Promote it using a hashtag, such as #JumperMediaXNeilPatel — and ask everyone (including the person taking over) to use this hashtag for best exposure. Have multiple people on board to help while conducting the session, so you don’t lose momentum while reading questions and typing answers slowly. How About Some Customer and Potential-Customer Feedback? Isn’t it a pain to use surveys for audience feedback? I can’t think of a single survey I’ve actually filled out in the past 6 months, because they’re just too time-consuming (and annoying). I’m pretty sure most of our audience feels the same way. 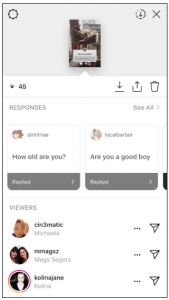 Use Instagram’s Question feature to instantly receive feedback from your audience in a much more engaging way. Who would they enjoy seeing you collaborate with next? What new products would they like to see? How can you make your products better? How much are they willing to pay for XYZ product (that’s in the works)? Do they like your content or not? What kind of content would they like to see next? And so on. 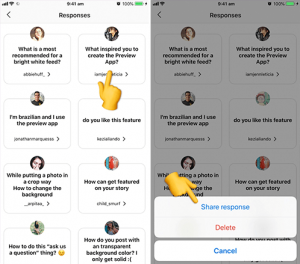 From getting reviews of your present offerings to receiving real-time feedback data on products and services you’re planning to launch later, Instagram Stories Questions feature can be a great feedback collector and survey tool. Do You Know your Public’s Most Frequently-Asked Questions? 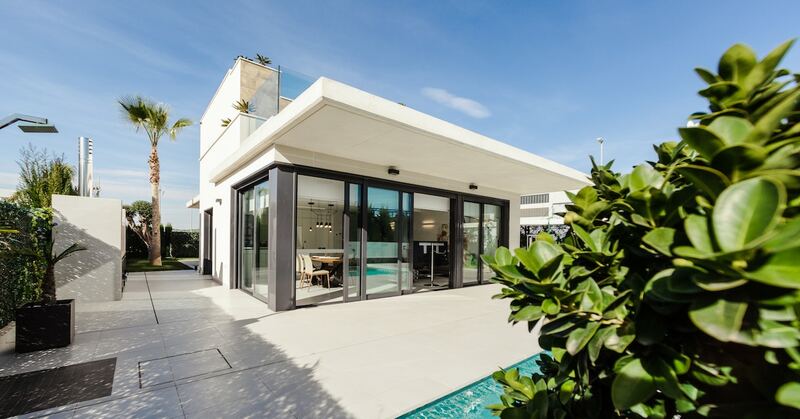 It’s always a good idea to dedicate a space for FAQs on your website and social media pages. 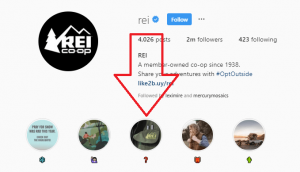 Brands like REI have entire YouTube channels and albums dedicated to their FAQs, others have a landing page on their website with these questions and answers. Successful brands also make it a point to add a section of FAQs on their sale pages, further encouraging potential buyers to act. Answering FAQs works really well to sell your services, clear up any misconceptions or other issues your audience might have, and build a positive relationship with your audience. Use the Question sticker to build your FAQ page — it’s a process very similar to simple Q&A sessions, but here you’re asking your audience to focus more on questions related to your brand so you learn what are the most common problems, queries, and stumbling blocks. 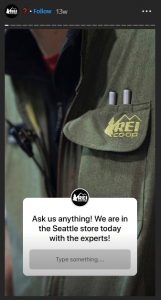 REI has even highlighted their FAQ Instagram Stories session on their main profile so that everyone else can benefit from it as well. Since these questions were asked by their fellow followers, it makes FAQs a lot more engaging and a lot less boring to your audience. Can We See your Rave Reviews? Everyone loves positive reviews of their brand. It’s a pretty awesome feeling when a customer emails and tells us that they loved our service or product. Some of us might even print those out and save them to read on bad days (or is that just me?). What’s even better is when customers and clients publicly proclaim their love for us where all can see. 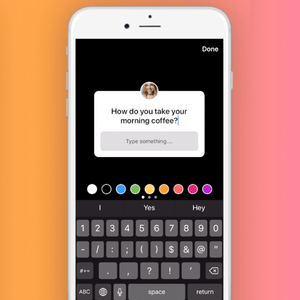 You can use the Question sticker to ask your audience simple questions related to their experience with your brand and gather the results to share. As you employ Instagram Questions, the following tips should make the entire process a whole lot easier. It’s easy to get tangled in little details when you’re using a new social media feature, so hopefully, we can help smooth the process for you. It’s better to add pictures related to the question or answer, but random pictures will work, too. If you’re not currently looking at what you want to photograph when you post a Question, it’s super simple to add pictures from your camera roll. 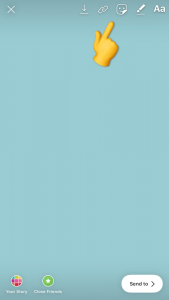 Look for the little icon in the lower left showing a thumbnail of your last image. Select that and choose whichever picture you want from your phone’s picture library to be your Question or Answer’s background. But don’t go overboard with videos. Keep them super short and use just a couple in the entire session. Your Answers can be longer, but Questions should be short and to the point, so the audience can read them quickly and respond. Try to mostly ask questions that elicit short, 2- to 5-word answers. 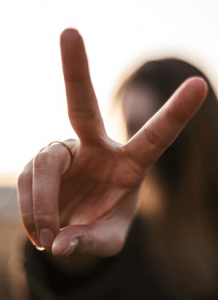 Over time, when your audience has started participating enthusiastically, you can ask them long-winded questions and expect paragraphs worth of answers, but keep it simple initially. You can find your top time brackets by either collecting data from your Instagram analytic or by trial and error, posting at different times and discovering when your audience is most responsive. Let your audience ask you questions 80% of the time, and you should ask them questions (building audience persona, getting to know them, etc.) only 2 out of 10 times. You don’t want to bore your audience by constantly using this feature. You can (and should!) track your data by taking screenshots of all the answers and saving them somewhere. Unfortunately, Instagram hasn’t released a proper tracking system for the Stories stickers, so until it does, you can manually do it yourself. Even if you don’t plan to use the information straight away, it’ll come in handy at some point. 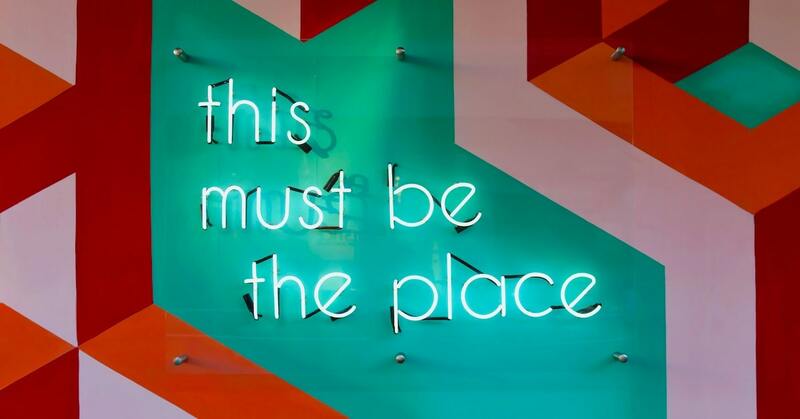 Simply having examples of the language your audience uses can be super-useful when designing a sales page or any other kind of marketing content. Screenshot everything. This will not just create urgency, but also leave the audience waiting for the next session when they can have their turn. This helps build momentum because seeing the incentive means more and more people will try to participate next time. Even if the reward is as simple as a public shoutout (which could help the follower get a ton of new followers) it’s win-win. You know, you don’t have to just choose one sticker in Stories. You can couple a few stickers together and make a dynamic, interesting post. Answer: Social Media Is All About Experimenting! What works for others may not work for you; trial-and-error is how everyone is figuring out how to use each of these new opportunities. So start with a few of the above tactics and see what kind of sessions click with your audience the most. p.s. 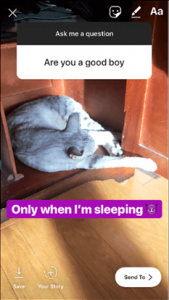 Interested in more tips and tricks to use with Instagram Stories? Check out this list of hacks.